Whether you do a love marriage or an arranged marriage one thing is common i.e. “RISK”. But, we believe in the philosophy of taking a risk so we get married 🙂 . Nothing wrong in getting married but it is good to be careful while selecting your better half. If you are parents of young boy or girl who is aspiring to get marriage and searching for life partner this post is for you. Before starting an actual talk let’s do one exercise. Think for two minutes and answer one simple question. When it comes to the selection of boy or girl for the marriage which factors you consider? I am sure one factor that will be common in your selection criteria is money. However, did you ever try to think about other factors such as liabilities, spending habits and other relevant financial matters that are equally important for the success of your marriage? Probably no, well, I don’t have any direct solution to find out these things about your partner, but I am sure you can make use of your engagement period in order to find out following factors. Also Read – Risk Return and Investment – Where to Invest Money in India? Dependents – It is not enough to find out CTC or take home salary of your future life partner. You should also try to figure out dependents relying on your life partner. Example – I know one girl who figured out a crucial fact about her future husband during an engagement period itself. This factor could save her from miserable marriage life. She found out that although the guy was earning Rs 50,000 per month it was not enough. His unmarried sister was taking away around Rs. 10,000 per month as a monthly expense. He was paying Rs.15,000 per month for the medical treatment of his father. He was also helping his brother by paying monthly EMI of his personal loan. She decided to break off 🙁 . 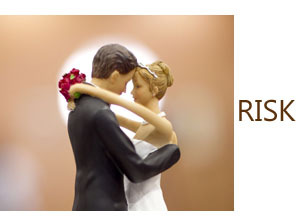 Liabilities – The second factor which often gets ignore while deciding marriage is liabilities. Figure out how much liabilities candidate has to pay. Example – In one case it is found that guy is working in big MNC with very good salary. He was holding a very big flat in Mumbai. He had a luxury car but his bank balance was zero. He was paying big EMI of home loan, auto loan and personal loan. His liabilities were more compared to assets. Spending Habits – The next big factor you should consider is spending habits. The guy or girl should be reasonable enough when it comes to spending money. Example – One Mumbai guy was stunned looking at her wife’s shopping capacity. He has to pay big credit card shopping bill every month due to his wife. She also had a habit of arranging big party on a regular basis. The guy could not sustain for long and he broke off. Nature of Job or Business – The next factor girl should consider is nature of business or job before getting married. Example – In one case it was found that guy was doing a job in big MNC Company on contract. On completion of the contract, he was removed from the job and they have faced a lot of financial problems. Subservient – You should also look at the nature of a person to whom you are going to get married. He/she should not be too much obedient to his father/mother. Example – After marriage girl found that her husband is too much obedient to his mother. He was taking permission for doing almost everything from his mother. He was always giving entire salary to his mother. Her mother used to run entire household expense. She was giving only Rs.3000 to his son as monthly expense. A girl was from rich family and was unable to cope up with this situation. They finally got divorced. Financial Plan – It is a good idea to get information about financial planning of your future life partner. Try to find out information about where he/she invested his/her money. Cash inflow and likely cash outflow. I know engagement is golden period of your life and you should enjoy it. However, along with enjoyment you must get important information about your partner which will help you to secure your marriage life. If you are not yet married, make sure to speak about such situations that could arise in your life. The purpose of writing this article is not to disappoint you about marriage. It is to make yourself aware about future financial problems of marriage. If you know somebody who is planning to get married soon or has been recently married, you can e-mail or WhatsApp this article to him/her.